OLD PARKED CARS. 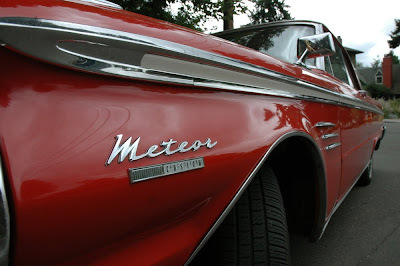 : 1963 Mercury Meteor S-33 Custom Hardtop. 1963 Mercury Meteor S-33 Custom Hardtop. Damn, shame about the front bumper. Does that say '1988'? 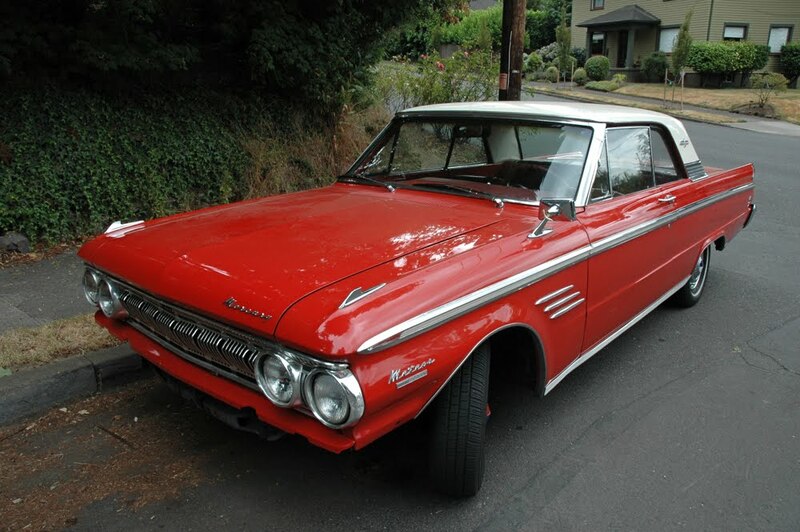 Is it not a '62 or a '63? Man what a crazy typo, thanks Don. I can't believe we didn't catch it sooner, especially considering I have the photos labeled as 1963. 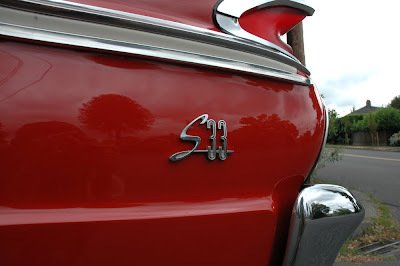 The shape of those taillights is pretty great. Ha! That's my car! 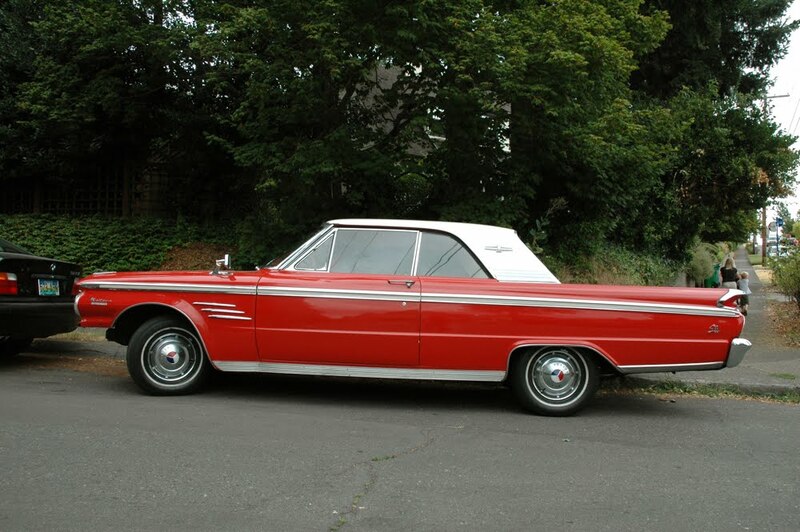 '63 Merc Meteor S33 2 dr hardtop. Her name is Ruby. I have the bumper in the garage. I'm looking for a good plater in Oregon-straighten and triple plate chromer...otherwise I have to ship to LA. This car has been a daily driver for me for 15 years. Next up: new floor pans and carpet. Just the other day I was psyched to pass this car for the first time in many months. As it crept into view I smiled and thought to myself, "Do we have a front bumper? Do we have a bumper? No! Bah." Still a joy to see parked! Bumper is on and the car looks great! Passed it a few times recently. Growing up I can remember passing this car on my way to and from school and I always admired this old Mercury, but now that I am a little bit older I can really appreciate what an amazing and beautiful car this is! 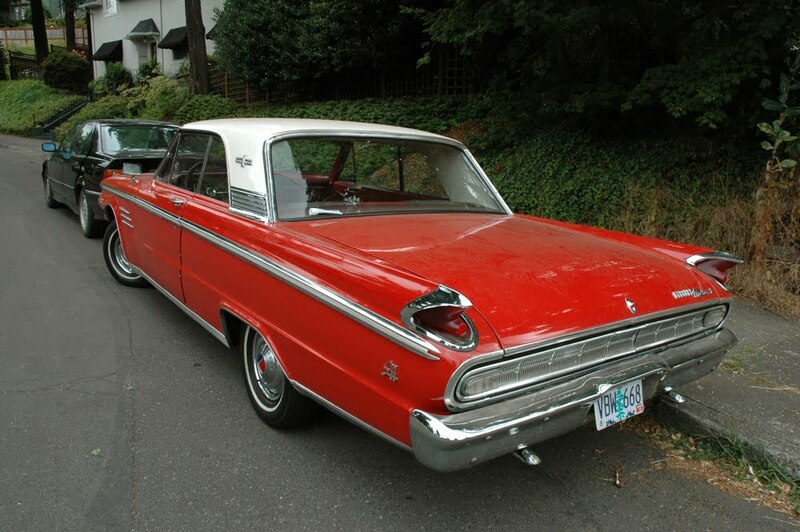 I haven't seen the car in a matter of months (maybe over a year or more) but this '63 Mercury has been, and always will be one of the coolest cars to ever cruise the streets of NE Portland! Come on --- delete the ad fool, it's already 3 years old.